This section explains on how to make the Dashboards public and private. Public Dashboards are accessible to anonymous users who has the Dashboard link. Private Dashboards are accessible to the registered users in the Dashboard Server who has appropriate permissions. Make Public option is available only to the owner of the Dashboard. 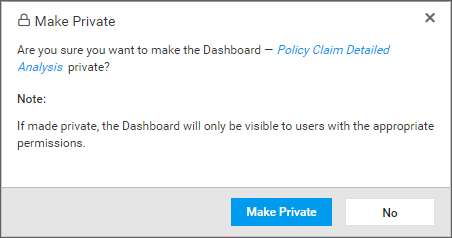 Follow the steps below to make the Dashboards accessible to anonymous users. 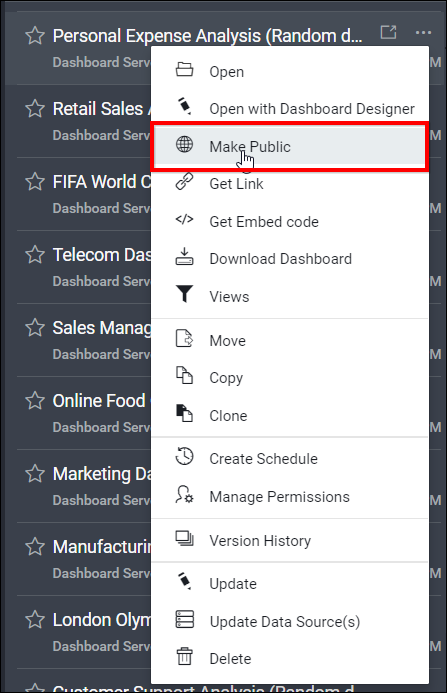 Click on the context menu of the respective Dashboard and choose Make Public option. Click on Make Public in the following confirmation dialog box. Once the Dashboard is made public, dialog box with the Dashboard link is displayed. Make Private option is available only to the owner of the Dashboard. Follow the steps below to make the Dashboards accessible only to the users in the Dashboard Server who has appropriate permissions. 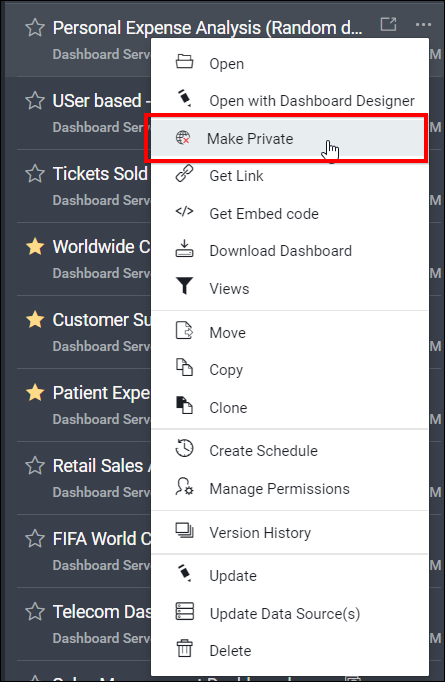 Click on the context menu of the respective Dashboard and choose Make Private option. Click on Make Private in the following confirmation dialog box. Once the Dashboard is made private, dialog box with the confirmation message is displayed. 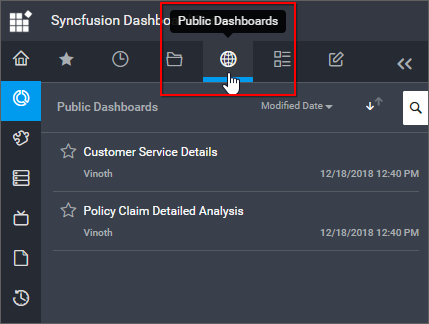 Public dashboards are listed in the below icon section in the home page of Syncfusion Dashboard Server. Click here to get more details about the public - allows/restricts switch.